Passport for Life is a program that supports the understanding, assessment and development of physical literacy among students and teachers. Registered teachers and students login now! Parents play a critical role in helping children to develop physical literacy. As your child uses Passport for Life, you can expect to be involved in helping your child set realistic and achievable goals. 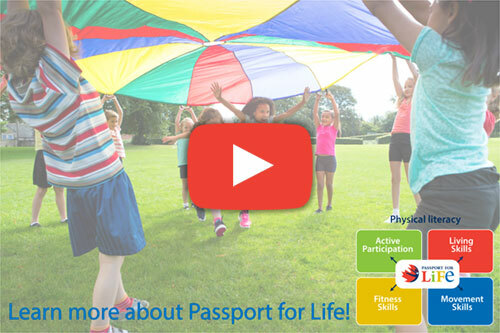 Passport for Life includes tools to help assess student physical literacy, guides to help teachers interpret and use the results, and resources to help teachers improve the physical literacy levels of their students. You’ve probably heard the terms literacy or literate before. We often use them when we talk about reading and writing - but there are other ways to be literate. Physical literacy is a way to become educated and knowledgeable about movement.